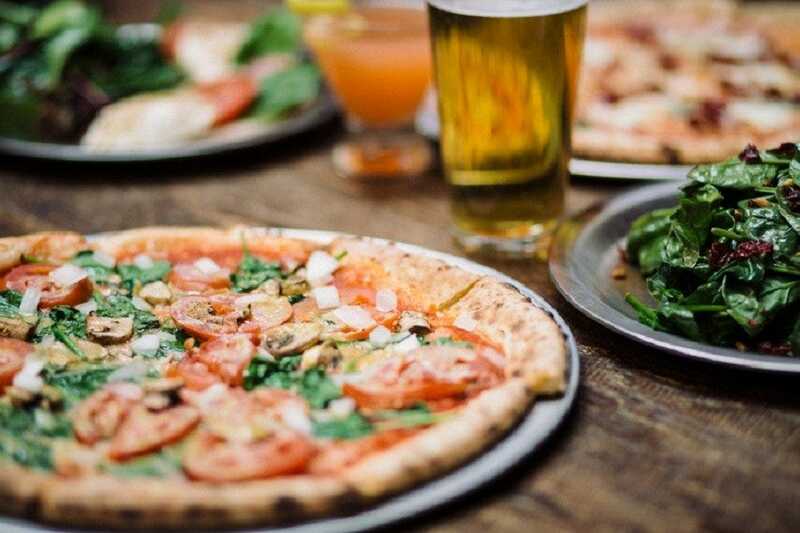 Whether you like Chicago-style or New York-style pizza, chewy crust or thin crust, piled with meat or served only with cheese, there is a pizza restaurant for you in Atlanta. The ideal pizza uses only the freshest ingredients, and it cooks in an ultra-hot pizza oven. Enjoy a traditional Italian creation like pizza at Antico, where you’ll find imported cheeses, Italian-style cured meats and pizza ovens straight from Naples, or head to Colletta, where Northern Italy reigns. Try eclectic and fun thin crust pizzas like the peach or cerignola olive pizza. The best place to grab pizza isn’t only about the food; it’s also about the dining experience. It’s all hands at Double Zero, where each pie comes with scissors at the table to cut your own slice. Visit any Savage Pizza location for walls adorned with comics and a ‘punk-rock’ staff that greet you with smiles like your part of the neighborhood. 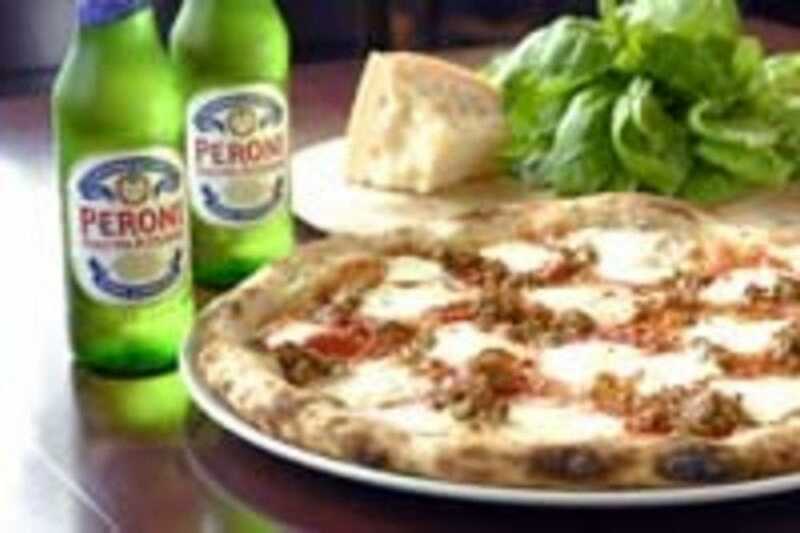 And if you love to pair your pizza with beer, then head to Ammazza. A well curated pizza is always cooked to perfection and served with your choice of 30 different brews. Whatever your taste in pizza or ambiance, try one of the following restaurants for Atlanta’s best pizzas. 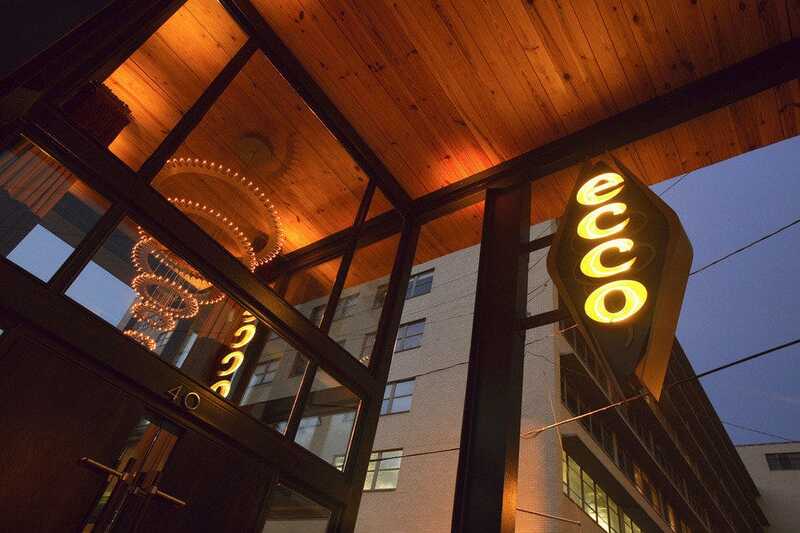 In the heart of Atlanta's Midtown, Ecco Restaurant's inviting European atmosphere welcomes guests to enjoy a wide variety of meats and cheeses, homemade pasta, wood-fired pizzas and exquisite wine and desserts. 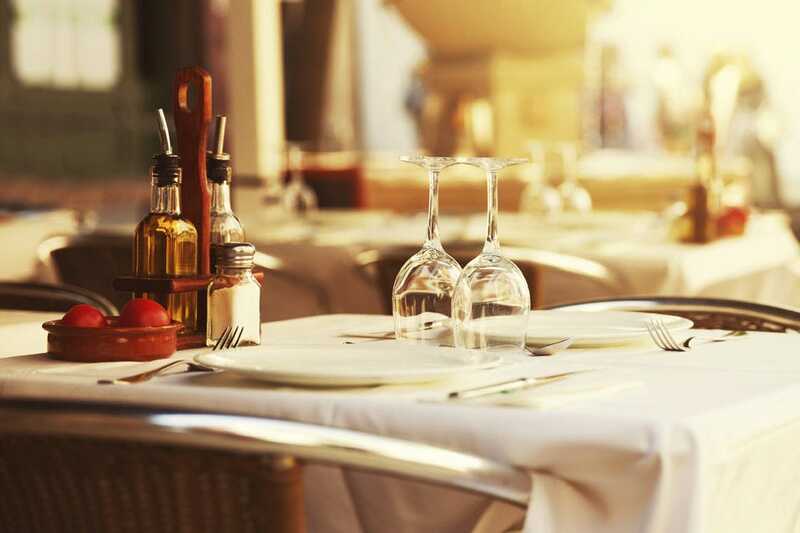 With an outdoor patio, oversized bar and stunningly European interior, Ecco accommodates those looking for a romantic dinner, group dining or even a casual night out. Starting with a selection of meats and cheeses is a must. For a homemade pizza with Spanish influence, Ecco's roasted mushroom pizza with braised leeks, Taleggio and truffle oil. The unique European flare and the mouth watering food served in courses make Ecco one of the best dining experiences in the Atlanta area. Besides pizza, There were meats and cheeses (build your own charcuterie plate), as well as pastas and full meals. The Roast ($29 of Pork Shoulder with accompanying condiments and Radicchio salad) and Pork Belly with Pumpkin Risotto are two starters not to miss. Pizzas come with scissors for cutting as they are not pre-sliced. Double Zero is a terrific spot for a big group outing. The space is huge and they can accommodate large groups. Pricing is fair, the wine list and cocktails are superb. And as far as the menu goes, there's something for everyone all with phenomenal service. Vesuvius is owned by Georgiaville Food Company, owners of Georgia's Bone Lick BBQ. 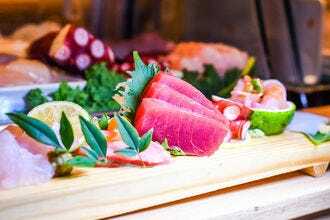 Enjoy wood-fired pizzas, table tops with butcher's paper of them and a giant community wooden table in the center of the restaurant that seats up to 24-guests. The Funghi is a popular selection with portobellas, creminis, buttons, goat cheese, and white truffle oil for the base. 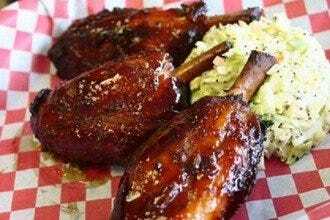 Don't miss the Bone Lick BBQ with pulled pork, homemade BBQ sauce, smoked provolone and amazing crispy fried collards. The atmosphere is laid-back, with a low-light setting that blocks the heat of the Georgia sun. 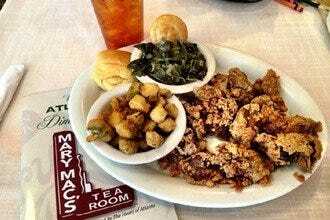 They are open until 1 a.m. Friday and Saturday, making it the perfect late-night snack stop. 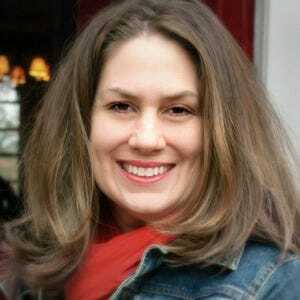 Founded by Jeff Varasano in 2009, Varasano's has received donzens of accolades for it's pizza. Chef Varasano makes dough "the old fashioned way," using only natural sourdough yeasts, fermented for several days. Each pie is thin and flash-baked for three minutes. Pizza choices consist of Nana's, a specialty pizza with Italian herbs and mozzarella. The Caramelized onion pizza has sweet onions and Emmenthaler cheese. Like the caramelized onion pizza, the Nucci also has Emmenthaler, but this pie has garlic onions and Arugula. A few of the topping choices include garlic, olives, chili peppers, capers, pepperoni, sausage with fennel and meatballs. 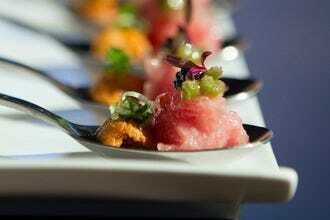 Enjoy dishes influenced by Northern Italy, created with the eclectic and heart-warming attention of Chef Michael Perez and served in an upscale but casual space. Guests can see the kitchen and pasta table from their seats. When the weather cooperates, find a welcome perch on the breezy patio, where alfresco dining offers superior people-watching opportunities. Begin with scallops atop semolina gnocchi, fava beans, king trumpet mushrooms and lemon crema, or tempt your taste buds with a hearty appetizer. Beef and pork meatballs flavored with quality tomato and basil sit on heavenly polenta, with a hint of pecorino Romano. 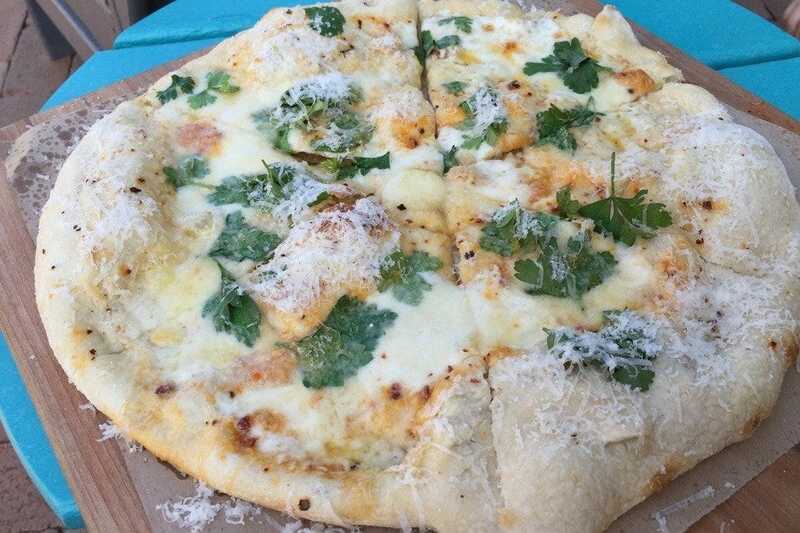 Pizzas feature a scrumptious thin crust with farm-fresh ingredients such as Pancetta Pizza with ricotta, salsa verde, arugula and pecorino Romano. Indulge in the Peach Pizza with gorgonzola dolce, cured pork guanciale, chives, Saba and parmesan. Chef Perez's pasta selections once again echo his diversity, the crown jewel being Triangolini- duck and foie gras, Tuscan kale, cherries, hazelnut and chives in a handmade pasta, topped with, 20-year-old balsamic de Modena and parmesan. Pizzas and pasta dishes arrive to the table in gracious servings, but should you need a "full plate" then consider grouper, a vegetable plate, veal or pork chops and more. Authentic ingredients cooked in a 900-degree oven create delicious and authentic pizza. Pair that with over 30 beer selections for a great night out! Try the Cinque Fromaggi, a white pizza with caprino, fior di latte, ricotta, Romano and house mozzarella seasoned with extra-virgin olive oil, fresh basil, cracked peppercorn and sea salt, or the Amarena with roasted black cherries and artisan sausage, Peppadew peppers, caramelized onions, fresh basil and house mozzarella. Seelctions also include two vegan options, both using cashew cheese. Visitors adore the pizza, but keep coming because of the full bar, hassle-free seating and late night hours. 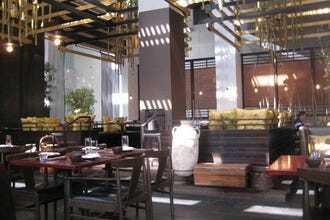 There are communal tables or private booths to select from, and free parking is a plus. For the perfect romantic pizza feast, try the patio at night with benches and lighted umbrellas. 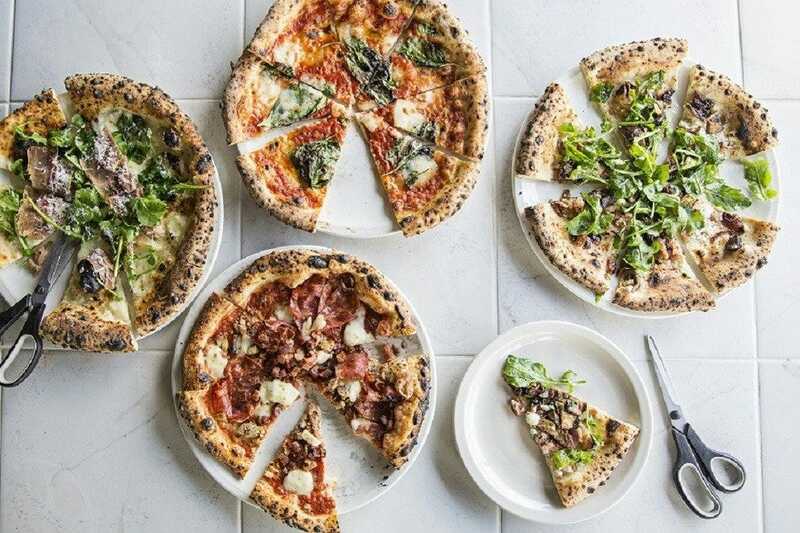 Since Varuni Napoli's opening in April 2014, Neapolitan pizza darling pizza maestro Luca Varuni has stolen the hearts and appetites of Atlanta's pizza lovers. The Morningside eatery provides a transparent, stadium like view of the pizza masters at work, creating traditional artisan pies and other Neapolitan fare right in front of you. Varuni provides a semi private dining area that also opens onto an amazing tree shaded patio, tucked away behind the building. Luca loves to share sampling of desserts, tastes of his homemade authentic lemocello and bring large parties in to the kitchen for fun and photos! 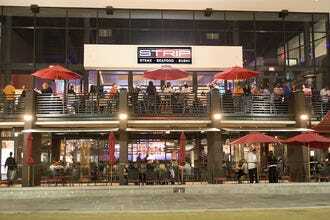 A great place to eat before the night begins or even to bring the family. 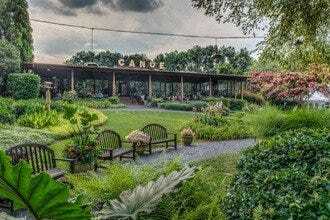 Experience a piece of Italy in Atlanta. Developed by Giovanni Di Palma, the pizzeria the idea for the pizzeria was conceived when Di Palma visited his family in Italy. The Artisian pizzas are lovingly crafted using old-fashioned techniques originated in Southern Italy. 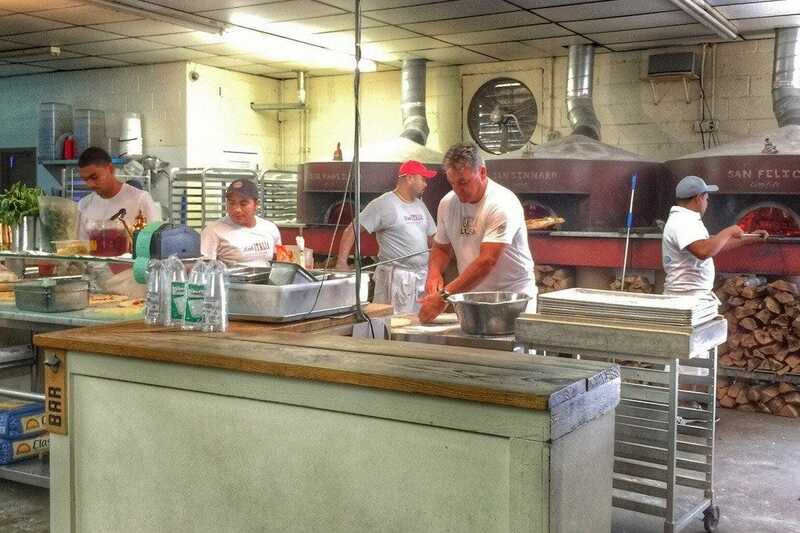 The dough is hand-kneaded, and baked in a 900-degree stone oven shipped to Atlanta from Naples. The pizzas are made from fresh ingredients, and the mozzarella cheese is imported from Italy. 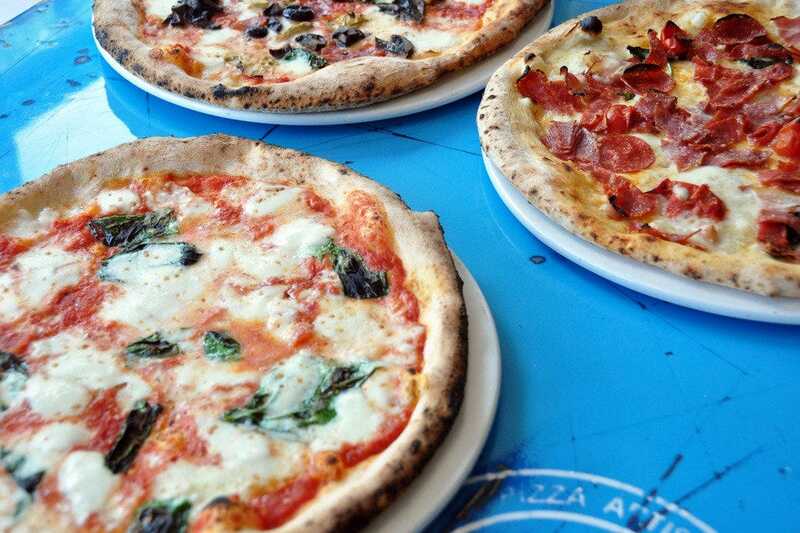 Traditional pizzas on the menu include the Marinara, Bianca, Capricciosa and Diavola. 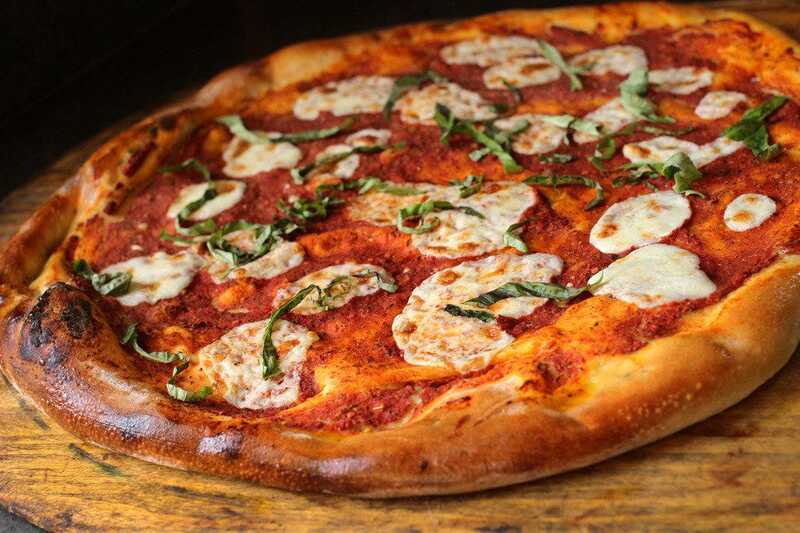 You can also try the lasagna, verdure, and San Gennaro pizzas on the menu.